This Pretty Bridal Hair Wreath is handmade with Wire Stems, White Fabric Flowers and White Pearl Beads. 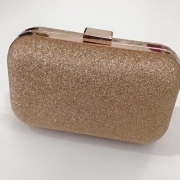 A Gorgeous Accessory to complement wedding gown ! A Gorgeous Hair Comb For Any Occasion ! 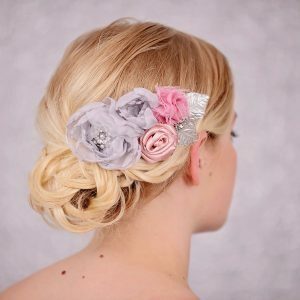 This Hair piece features Chiffon Grey Flowers, a Dusty Pink Ribbon Flower ,Pink Shabby Chic Flower ,Silver Leaves and a Silver coloured Rhinestone Button. This Hair Comb be perfect for your Bridesmaids ! 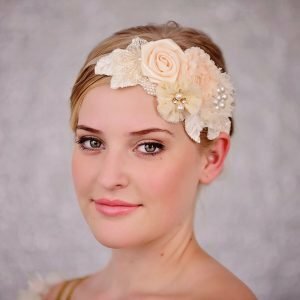 This Sweet Flower Hair Comb has Ivory, Pink and Champagne coloured handmade Flowers with fabric leaves and delicate lace. The comb is embellished with pearl beads. The metal comb is gold in colour. This comb would be perfect a Bride ,Bridesmaids or flowers girls. This Ivory Double Flower Hair Comb is made with Chiffon and Organza fabric. Attached is a gold coloured hair comb. Perfect for an Outdoor Wedding ! 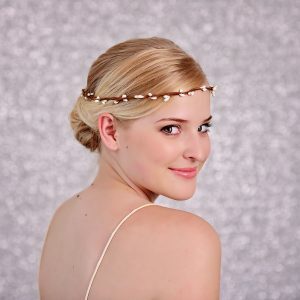 The Sweet Rustic Style Hair Wreath is perfect for an outdoor Wedding. The Wreath is handmade with Pip Berry Wire. 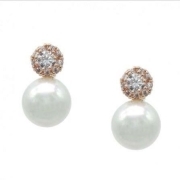 A Nice and Simple addition to your Wedding Dress ! 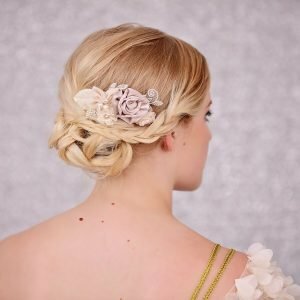 This gorgeous hair accessory has the prettiest flowers. The flowers are peach and ivory in colour with pearl embellishments. 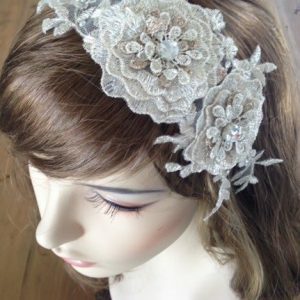 The lace flowers on each end of the headpiece adds a vintage vibe ! The ribbon which ties around your head is a sheer organza material. If you need matching Bridesmaids or Flower girl Accessories pleas message me for a quote ! Very Fashionable ! 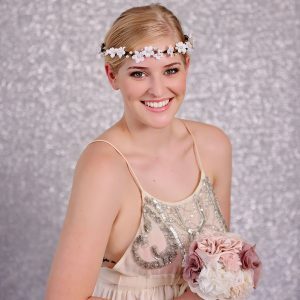 This flower headband has pink, white, and purple handmade flowers with green fabric leaves attached on a white headband. 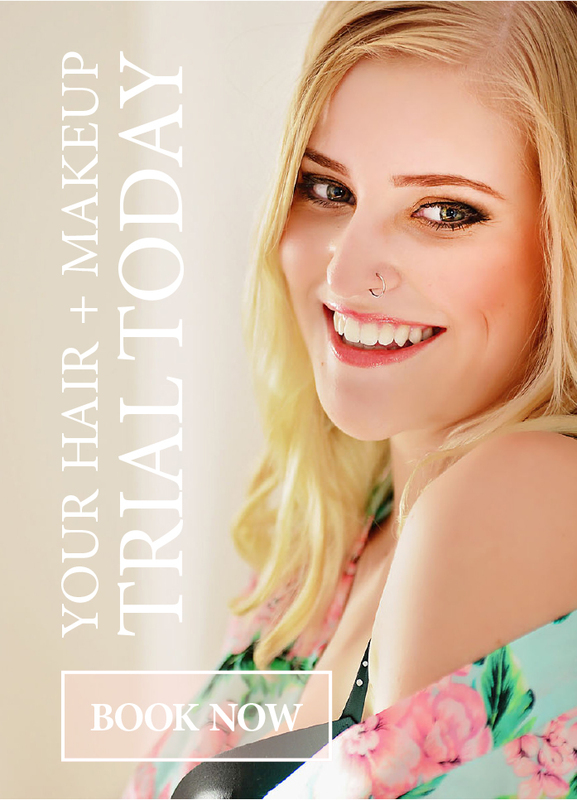 Perfect for any occasion ! 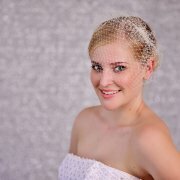 This Stunning Champagne Lace Hair Piece is Perfect for your Wedding Day ! 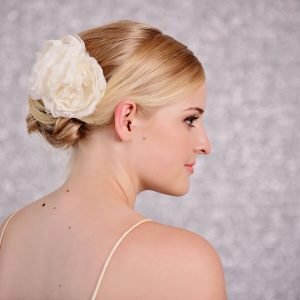 This delicate lace embellished with rhinestones and assembled with 2 small clips for easy attachment to your hair. 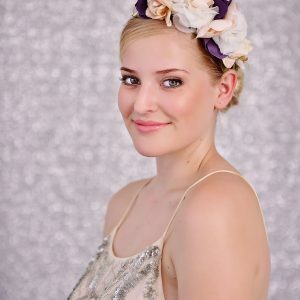 Such a Gorgeous Headband for Any Occasion ! 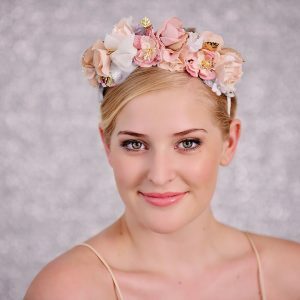 The Handmade Headband is made with Fabric Flowers in Pink, Peach, White and Gold. The materials include Chiffon, Velvet and Satin. The Mint Green and Gold Leave add a special touch to this pretty headband. This headband would fit a child from 8 years old to an adult.